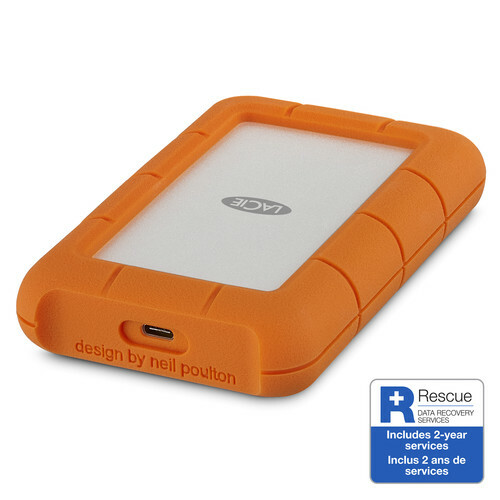 Drop, crush, and rain-resistant for all-terrain use, the LaCie Rugged USB 3.0 Type-C External Hard Drive (1TB) combines weathered durability with USB 3.0 Type-C technology that delivers data transfer speeds of up to 130 MB/s. 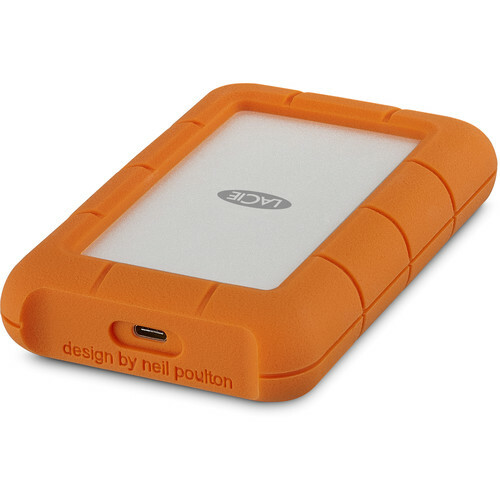 Drop, crush, and rain-resistant for all-terrain use, the 1TB Rugged USB 3.0 Type-C External Hard Drive from LaCie combines weathered durability with USB 3.0 Type-C technology that delivers data transfer speeds of up to 130 MB/s. 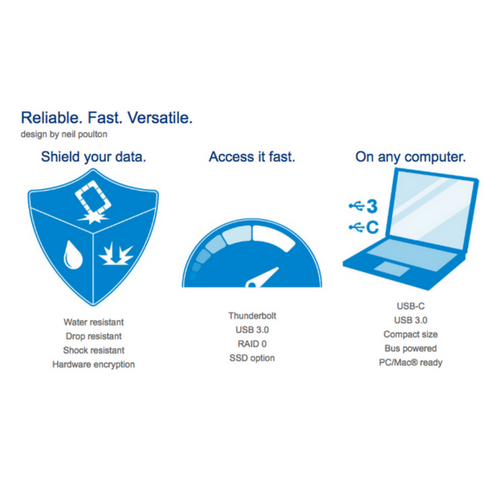 This drive has been tested with a drop resistance of 4', the crush resistance of a 1-ton car, and water resistance in the rain, all of which will help Windows and Mac users keep their data safe in the event of a mishap. When combined with the Rugged's storage capacity of 1TB, you'll have plenty of room for a variety of files, such as movies, photos, music, and documents. Additionally, this drive can be used as a digital shuttle to transport footage from set to a post-production facility, as well as store large Adobe Lightroom libraries.